Join our 52 Weeks of Wisdom Journey! Moxie can be defined as 3 simple words: courage, vigor, and nerve. In this talk, Barbara Cox discusses ways to activate your own personal moxie to overcome hardships and build a fulfilling and happy life. 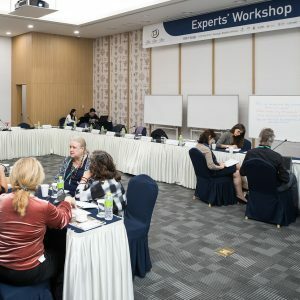 Speaking from her expertise as both a psychologist and someone who’s overcome significant personal hardships, Barbara teaches the audience how to reframe challenges as opportunities, shift your mindset from feeling disempowered to feeling empowered, and mustering up the internal motivation to go forth and achieve great things no matter the circumstances! This speech can be delivered in a 30-90 minute timeframe and incorporates themes of personal development, motivation, and self-leadership. It is suited for conferences, corporate retreats, and lunch & learns. Each of us has our own inner cavewoman… she is our warrior and our protector. She is skilled in keeping us safe from physical, mental, and emotional harm, but since she is part of our psyche from long ago, she can also overreact and get us into a bit of trouble unnecessarily. In this talk, Barbara helps women connect with and learn to understand the inner cavewoman, tune in to what that part of you needs and wants so that it doesn’t overshadow other parts of your life, and recognize how to calm your inner cavewomen and activate the naturally inborn calm state more often. Please contact us if you are interested in having Barbara speak at one of your events. 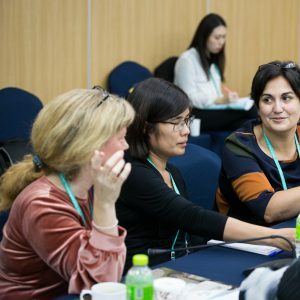 Most recently, Barbara was an Expert Speaker in South Korea at UNESCO’s 14th World Congress of the OWHC, an international conference sponsored by the Organization of World Heritage Cities. 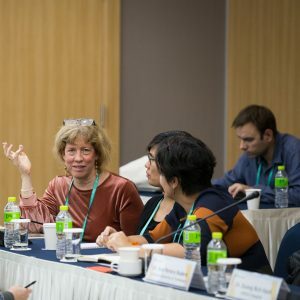 Barbara presented a talk on the psychology of public participation, based on a paper she co-wrote for an environmental organization, and participated in their Experts’ Workshop discussion. Check out the pictures and video of her presentation below! Looking for inspiration? How about 52 weeks of it delivered right to your inbox! Check out my 52 Weeks of Inspiration journey and sign up today! Theme development by Design Formare Inc.